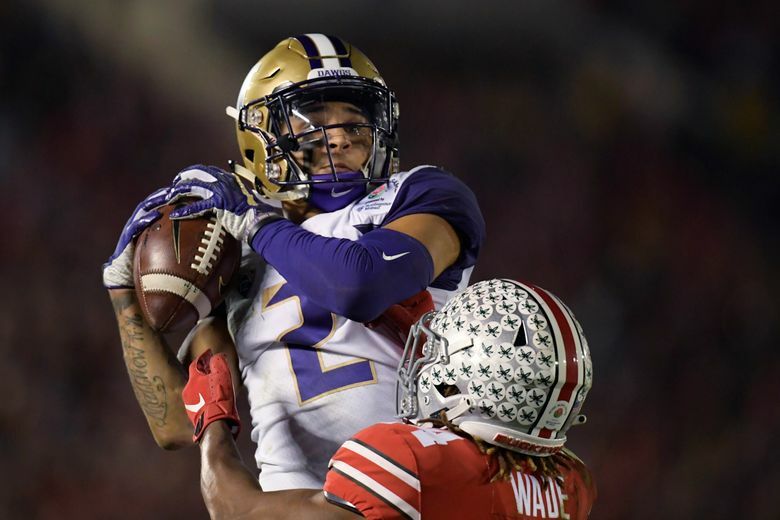 Washington ran 91 offensive plays in the Rose Bowl, the most of the Chris Petersen era. 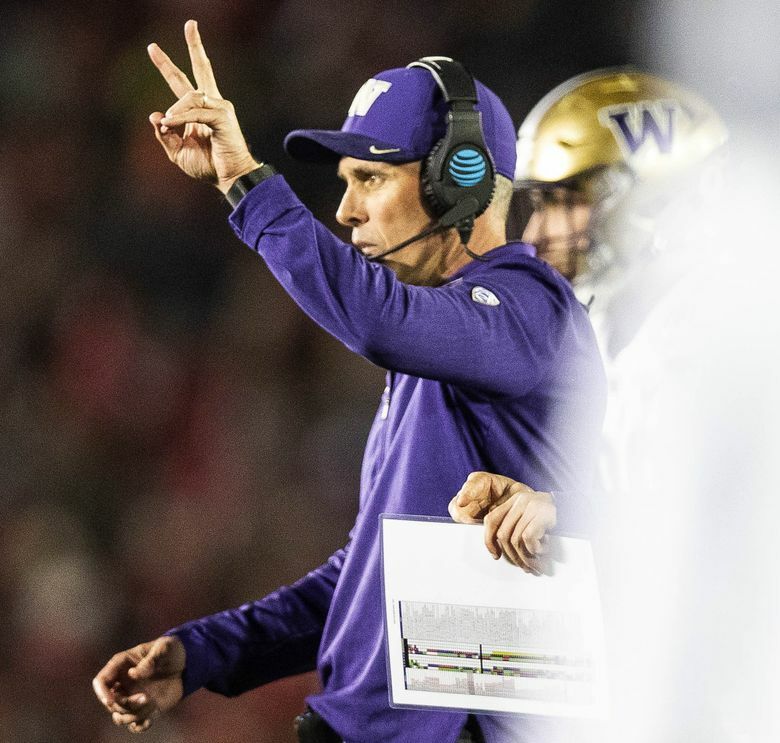 Calkins | Is it time to begin to question Chris Petersen's big-game acumen? 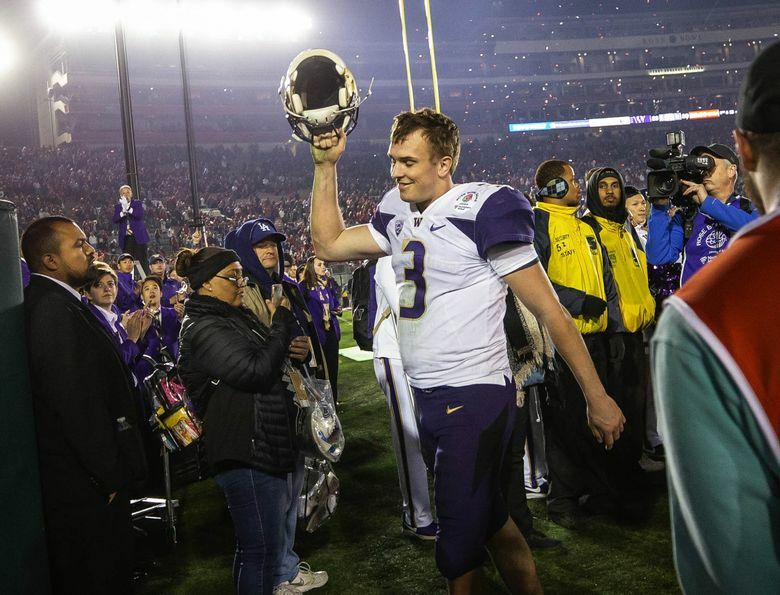 Jake Browning matched his season high with 313 yards passing, completing 35-of-54 attempts, with 135 of those coming in the fourth quarter. His 54 passing attempts are the second-most in Rose Bowl history. The Huskies’ all-time leading passer, he finished his career with 12,296 passing yards, 94 passing touchdowns and 16 rushing touchdowns. Myles Gaskin finished his senior season with 1,268 yards rushing, joining Wisconsin’s Ron Dayne as the only running backs in NCAA history to rush for 1,200 yards in four seasons. Gaskin, the Huskies’ all-time rusher, closes his career with 5,323 yards, 57 rushing touchdowns, 5 TD receptions and 1 TD pass. All-American linebacker Ben Burr-Kirven had 11 tackles in the Rose Bowl and finishes his senior season with 176 tackles, the most in major college football and No. 7 on UW’s all-time single-season list. Washington’s 91 offensive plays are the second-most in Rose Bowl history (Oregon ran 92 in 1995) and the most of the Petersen era. 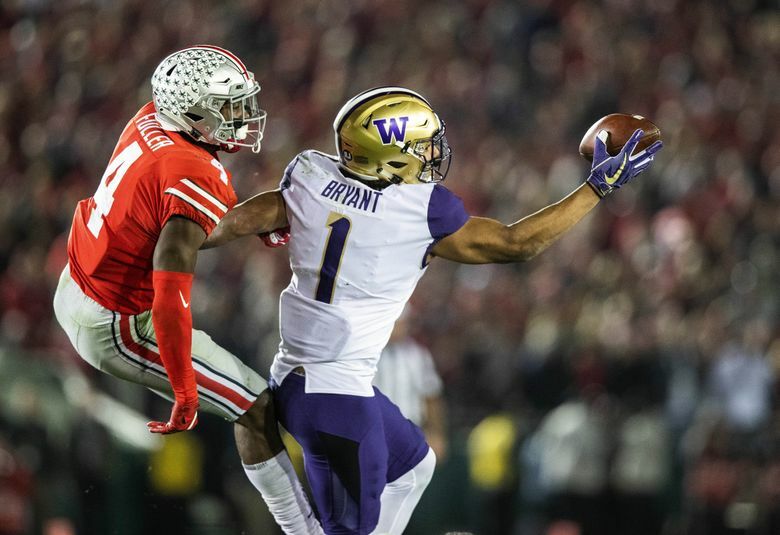 Ohio State built a 28-3 lead early in the third quarter Tuesday, marking the largest deficit for Washington since Chris Petersen first season at UW in 2014 (when the Huskies also trailed by 25 in a loss to UCLA). The Huskies finished the season with a 10-4 record, and those 4 losses were by a combined 15 points. Andre Baccellia’s 12 catches, for 109 yards, were both career highs. The Huskies went seven straight quarters without an offensive touchdown before scoring three of them in the fourth quarter. 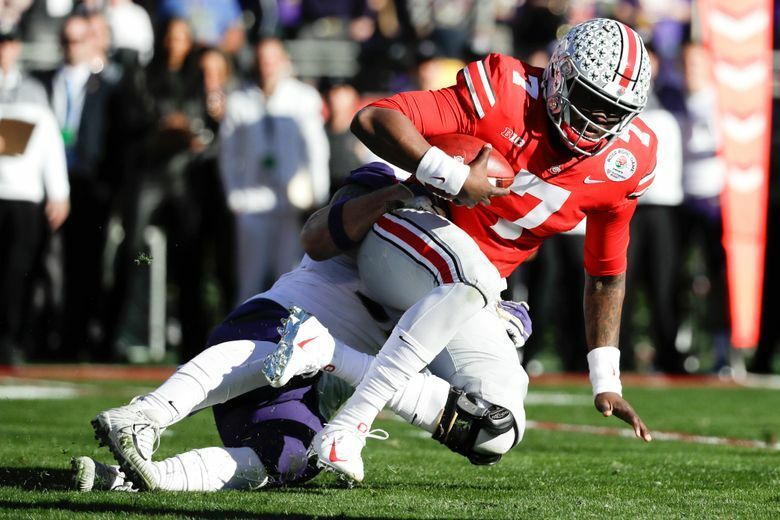 Ohio State’s Dwayne Haskins’s 3 touchdown passes were the most the Huskies have allowed in a game since the second game of the 2014 season (when Eastern Washington’s Vernon Adams threw 7 TDs). 1 ridiculous one-handed catch by No. 1, sophomore tight end Hunter Bryant. The game featured zero turnovers, just the third time that’s happened in the Rose Bowl since 2000.